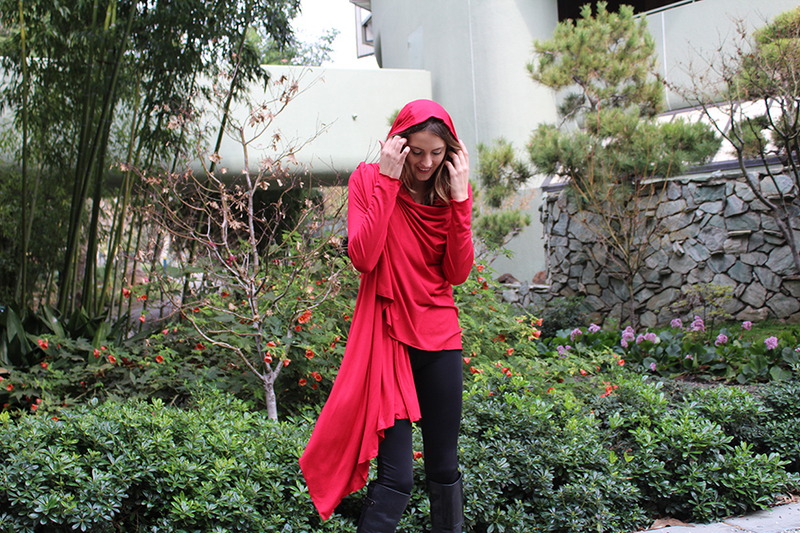 Last week we wrote about the power of the color red, and this week we’ve been invited to participate on the runway to support the very important Red Dress Fashion Show & Health Expo. The Red Dress symbol became the national icon for heart disease and stroke awareness in women. Yes, indeed, red is the color of the vibrancy that pumps through the hearts of passionate people who help make great things happen!!! With the support of the American Heart Association, Go Red For Women has successfully saved over 627K lives and has raised $46 million for this worthy cause. Wow!!! The stunning Mission Inn Resort historical landmark is a huge supporter of this cause. 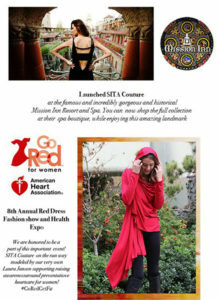 We will be walking in the SITA Couture Rosie Red collection that the Mission Inn has ordered in honor of the Red Dress movement. It’s fantastic to realize the power of what this organization has pulled together, and it’s an amazing honor to be participating in such an incredible movement alongside with the Mission Inn Spa and Resort. If you happen to be in town, please come by to support and enjoy this meaningful and exceptional event. Thank you!